Medley, FL – All Florida Paper is proud to announce the renewal of its Handi-Foil (HFA) aluminum container partnership. HFA will provide a variety of superior solutions for your cooking and baking needs. Their product offering will include pie pans, muffin pans, cake pans, steam tables, roasters, as well as specialty and seasonal products. HFA’s aluminum containers can continually be recycled, providing you with a meal that’s easy to clean up, as well as friendly to the environment. Handi-foil™ Corporation is a privately owned manufacturer of recyclable aluminum products committed to quality, convenience and innovation. In the industry since its inception in 1958, they have accumulated the knowledge and experience necessary to stay on the cutting edge of innovation and technology. 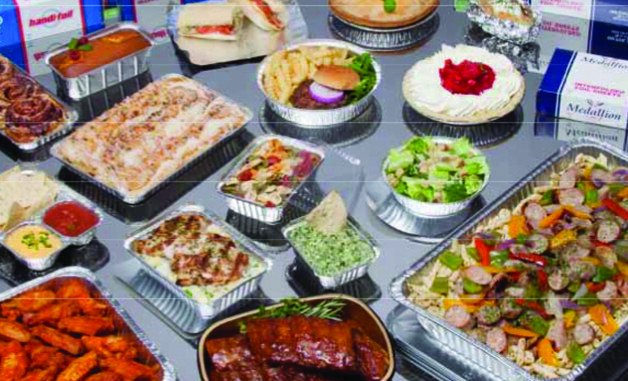 As the industry leader, they offer a complete line of foil containers and dome lids including traditional, high-end and seasonal bakeware items. Their recyclable, American made products are manufactured in Wheeling, Illinois.